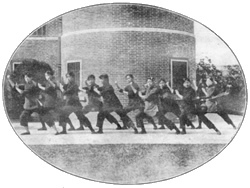 A photo of female martial artists from the Jingwu Anniversary Book. The woman on the left is Chen Shichao, one of the most vocal campaigners for the equality of female martial artists within Jingwu. She toured China and south east Asia promoting female involvement in the martial arts. It is hard to think of any group or association that has had a greater effect on the emergence of the modern Chinese martial arts than the Jingwu Athletic Association. Founded in Shangahi in the closing years of the Qing dynasty this institution was destined to become the first truly national “brand” within the Chinese martial arts. It combined modern organizational, funding and advertising models with the message that the path to “national salvation” could be found within a reformed and modernized vision of Chinese culture. More than that, it argued that Chinese culture was the true foundation of the nation and that any individual who took part in this collective system of meaning had a stake in its ultimate fate. Neither political boundaries, class nor even gender differences could erase this essential aspect of life in “modern” China. 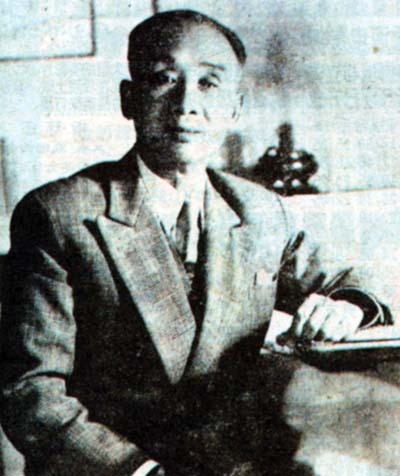 Most popular sources cite Huo Yuanjia as the founder and creator of the Jingwu association. His legacy has become one of the foundation myths of the modern Chinese martial arts. His rise to prominence as a country boxer, frequent challenge matches with obnoxious foreigners, migration to Shanghai, and supposed death at the hands of Japanese poisoners are the stuff that Kung Fu legends are made of. Nor is this simply an empty expression. Luminaries such as Bruce Lee (“Fists of Fury”) and Jet Li (“Fearless”) have added to his legacy through their films. His life has also been the subject of numerous television programs. Yet from a more critical historical viewpoint the actual credit for the creation of the Jingwu Association would have to go to a committee of individuals. These men, all young highly educated professionals, sought to create a martial arts association and they hired Hua Yuanjia as their chief instructor. After his death (probably from tuberculosis or some related disease) it was decided to posthumously elevate Huo, making him the “spiritual father” and public face of the young martial arts association. If stories of his death began to circulate that implicated the hated Japanese…so much the better. Jingwu’s rise and eventual fall suggests many important research questions. I have touched on some of them elsewhere, but in the current post I would like to take a closer look at the careers and contributions of two of its leading members. Even more interesting is the fact that these two individuals are brother and sister, a rare combination in the annals of important Chinese martial artists. Chen Gongzhe and Chen Shichao were both instrumental to the success of the Jingwu movement. Both of them were also important reformers in their own right who helped to bring the traditional Chinese fighting systems into the mainstream of urban middle class culture. Chen Shichao is particularly important for her tireless promotion of the martial arts among Chinese women, a group that had little exposure to any sort of physical culture under the old neo-Confucian social system that dominated the Qing dynasty. The “corporate” origins of the Jingwu Association are interesting to me precisely because they suggest that the group did not reflect the plans and expectations of a single man. Instead Chen Gongzhe, Chen Tiesheng, Lu Weichang, Chen Yingshi and later Chen Shichao created an organization that reflected and sought to advance their vision of what the new Chinese nation state could be. It was a vision that sought to adopt much of what was best from the “modernization” and “westernization” movements without losing track of the essential genius of Chinese culture. In the view of the Jingwu reformers physical culture, transmitted from teacher to student, could be the mechanism by which China’s ancient ethnic, linguistic, regional and class distinctions were overcome. Their often stated goal of “saving the nation” was not simply hyperbole. Ideas about national identity lay at the root of much of the Jingwu movement. By briefly examining the careers of the Chen siblings we may be able to better understand the approach to these questions taken by a growing segment of the middle class during the 1920s. We will also get a firsthand look at the evolution of ideas about the gender equality and the pioneering role of the newly modernized and sanitized martial arts in advancing this cause. Chen Gongzhe later in life after moving to Hong Kong. In addition to his contributions to the martial arts Chen was also known as a talented amateur archeologist. Source: Wikimedia. As we have seen in previous posts, it is not really possible to understand the emergence of certain martial arts associations without thinking about the issues of local history and economic class that frame them. This same conclusion holds for the Jingwu Association. From a technical standpoint the history of the group can be said to begin in the dusty villages of Jinghai County in Tianjin. This is where Hao Endi made a living as a caravan guard and it is where his fourth son, Hao Yuanjia, would be born and go on to become a noted martial artist. Even after Hao Yuanjia’s premature death, the various arts of Northern china dominated the Jingwu curriculum. I suspect that a single standardized teaching program, easily monitored and franchised, helps to explain the organization’s ultimate success. So if we were to look at this association only from the perspective of its physical culture it would appear to be a solidly northern organization seeking to expand its market share and claim of cultural dominance across China’s east coast and southern frontier. Nevertheless, if you remember that this association was really a product of a committee of specific individual (and not Hao Yuanjia) a very different social profile begins to emerge. In this case the social history of the organization actually traces its roots back to the Pearl River Delta in Guangdong province shortly after the Opium Wars. Prior to the Opium War Guangzhou had been the only port in China that was open to western trade. The terms of the peace treaty signed by the British and Chinese governments opened a number of other ports to this shipping, including Shanghai. Naturally business declined in Guangzhou as it now faced competition from new ports that were located closer to state’s major population centers. The Cantonese speaking merchants of Guangdong were already experts in dealing with the European trade system. Large numbers of them simply transferred their firms to other regions and were greatly enriched by the increased volume of East-West trade. This process was not always without conflict. The influxes of southern workers, merchants and gangsters occasionally led to social tensions and even open conflict (such as the Small Sword Revolt). Still, by the time that the Jingwu Association was established in Shanghai the city contained a very large and economically influential Cantonese speaking population. This community (like most others in the late Qing and Republic eras) organized itself through an extensive network of voluntary social organizations. These included first and foremost “hometown” and “all-Guangdong” guilds that provided a number of goods to their members including entertainment, networking opportunities, insurance and even death benefits. Other popular social institutions included schools for Cantonese speaking children, hospitals, charitable associations, music and Cantonese opera societies and even athletic associations and martial arts clubs. We are used to thinking of the Jingwu Association as a purely national organization, and not without reason. As I mentioned in the introduction it advanced a very strong argument about how Chinese national identity should be constituted. Yet in a recent essay (“Where Guangdong Meets Shanghai: Hong Kong Culture in a Trans-regional Context.” In Helen F. Siu and Agnes S. Ku eds. Hong Kong Mobile: Making a Global Population. Hong Kong University Press, 2008) May Ba Ching has suggested that the creation of the Jingwu Association can also be understood as a natural extension of the network of voluntary associations meant to provide services to Shanghai’s expatriate Cantonese community. This had actually never occurred to me before, but when you look at the list of the organization’s founding members it is remarkable the percentage of them that hailed from Guangdong and were native Cantonese speakers. Ching also points out that the public schools who were quickest to petition Jingwu for martial arts instruction for their students were also part of the regional Cantonese network of voluntary associations. In addition to martial arts the early Shanghai Jingwu Association also put a lot of time and money into musical programs. Chen Gongzhe himself was an important patron of the musical training classes. These resources were in turn used to support graduation ceremonies, parades and opera’s within Shanghai’s Cantonese speaking community. So while Jingwu eventually grew into a successful national (and even international) organization, its social and organizational roots may be more parochial than one might guess. Yet where would a small voluntary association such as this get the capital that it needed to support its various teaching efforts, let alone expand across China and eventually South East Asia? Chen Shengtang (the father of both Chen Gongzhe and Chen Shichao) was a prominent local business owner in Shanghai. Like many other member of the local Cantonese community his family hailed originally from Zhongshan (located between Foshan to the north and Macau to the south) in Guangdong. He made his fortune in hardware with the Yueruixiang Metal Co. in Shanghai. His son Chen Gongzhe (who would inherit and expand the family hardware business) was also born in Shanghai in 1890. Chen Gongzhe (1890-1961) was an active child. In 1904 he joined a local football (soccer) league, suggesting that either he or his family possessed a modern outlook on the question of physical culture. Unfortunately I have not been able to locate much information on the childhood of his sister Chen Shichao. That will have to be the subject of future research. Still, the experiences of her brother are at least suggestive that she was raised in a relatively liberal and cosmopolitan atmosphere. After finishing his primary schooling Chen enrolled in Fudan University in Shanghai for his subsequent education. Brian Kennedy has pointed out that Fudan was newly established when he enrolled, and that at the time it had a reputation as China’s most progressive educational institution. This fits with what we know about the subsequent careers and writings of the Chen siblings. Chen Gongzhe made good use of his time in University. He studied a number of subjects, including some that would become quite useful in later attempts to promote the Jingwu Association, particularly photography. During this same time (approximately 1910-1912) he studied martial arts actively at the Jingwu Association and he would even perform at public sporting events hosted by the group. After graduating from school in 1913 he inherited the family business and immediately became an important benefactor of the Association. Some stories claim that his enthusiastic financial embrace of the group caused tensions with certain family members (including his still surviving father). But as the sporting enterprise began to succeed they were soon converted to their son’s vision. Apparently Chen Gongzhe was always something of an antiquarian. He showed an early interest in history, and later in life he became an avid amateur archeologist leading digs along the Hong Kong coast. Hong Kong University even staged an exhibition of finds, most of which disappeared during the subsequent Japanese occupation of the city. While never the main mouthpiece of the association (the job of chief propaganda officer fell to his friend and colleague Chen Tiesheng), he did write a number of articles and other works on the history and practice of the martial arts. These were widely distributed within the Jingwu Association. Like the other founders he shared the vision of a modernized and unified Chinese art cleansed of superstition and feudal elements by the critical application of scientific training methods. This would allow China to present a strengthened and reformed face to the world without simply capitulating to the superiority of western culture. Of course a clear understanding of what the Chinese martial arts were was a necessary first step in this process. Chen also appears to have shared his colleagues’ faith in the ability of physical culture to transcend China’s many internal differences. Still, Chen Gongzhe is not remembered primarily as a historian or an athlete (though in point of fact he was both). Instead he was the muscle behind the small group that provided much of Jingwu’s operating budget. Organizationally speaking Jingwu appears have to been a creative fund raiser. The “directors” of various chapters were expected to make healthy contributions to their local organizations. Likewise members bought Jingwu merchandise, including newspapers and greeting cards. The organization also discovered that they could make substantial sums of money by selling advertising space in their various publications to firms that wished to tap into their progressive and wholesome image. Unfortunately these efforts at diversification proved to be too little to save the organization from the financial turbulence of the interwar years. The bulk of the Association’s capital still came from just three individuals (the so called “Three Corporations”), Cheng Gongzhe, Lu Weichang and Yao Chanbo. These three individuals coordinated their investments and plowed the profits back into Jingwu. They financed a number of different ventures, from hardware businesses to a firm that imported textile spindles. Unfortunately this last gamble went sour in 1924 and it ended up collectively bankrupting the organizations three biggest backers. The Jingwu Association in central and northern China never really recovered from this financial setback. The collapse of the brand opened a space for the emergence of the KMT’s new “guoshu” martial arts program. Yet in politically independent Guangdong the Jingwu Association (which had secured other sources of private funding) continued to thrive until the Japanese invasion in 1938. Kennedy and Guo point out that the situation was much the same in South East Asia. In many of these places the Jingwu Association has continued as an independent force up until the present day. Detailed portraits of some of Jingwu’s leading personalities including Chen Shichao (Center) and Chen Gongzhe (Right). Source: Wikimedia. One might suspect that the 1920s would have been a golden age for female involvement in organized sports in China. The feudal social structures of the past were being discarded, foot-binding was quickly becoming a memory, new forms of physical education were being introduced to schools and a wide variety of sports, from track and field to volleyball, were being practiced across the country. Unfortunately this was not the case. While some cultural values were changing, others remained stubbornly persistent. Nor were appeals to “modernization” and “scientific reform” always helpful to those who advocated for greater female participation in sports. Andrew Morris has demonstrated in detail how Chinese public intellectuals used the then current language of “science” to argue for female exclusion from athletics on the grounds that these pursuits were too dangerous, taxing or ill-suited to the female physic. This is a valuable reminder that epistemology rarely trumps ontology. In most cases it never even seems to challenge it. I do not wish to imply that the early feminist reformers were not making great strides in Republic period. They certainly were. Yet the general situation in the realm of physical culture remained far from satisfactory. So how about the martial arts? Unlike other reform movements the Jingwu Association was careful not to turn the rhetoric of “scientific reform” against women. In fact, it made a very strong set of theoretical and ideological arguments that women were capable of performing just as well in the martial arts as men and that they should be given equal opportunities and resources to develop these skills. Surprisingly the Association then backed up these assertions by actually creating women’s programs across the country, aggressively promoting the study of the martial arts at all-girls high schools and including articles by female authors and coaches in its most important publications and newspapers. The Jingwu Association introduced many reforms into the practice of the Chinese martial arts that still effect how we think about these styles today. Reasonable people might debate which of them was ultimately the most sweeping or important. But for my money none of these reforms was more surprising or significant than their radical approach to gender in the martial arts, and society as a whole. The traditional Chinese fighting arts were a realm dominated by men. There may have been a small number of women who participated in these systems, but by in large these individuals were the exceptions that proved the rule. 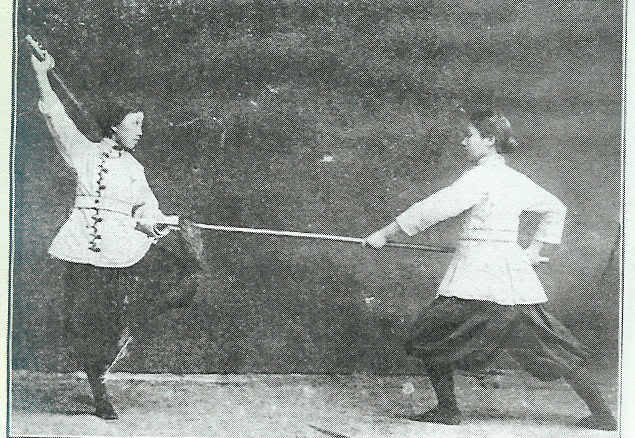 Given the traditional reticence of the martial arts towards women, how did reformed and modernized approaches to hand combat become the leading edge of female empowerment in the 1920s? On a theoretical level I think it is probably necessary to cast our minds back to changes that were starting to happen in Kung Fu storytelling and popular novels in the late Qing dynasties. For a number of reasons that we have discussed in other posts, female protagonists started to appear in greater numbers in works produced during this period than in previous eras. The dam really burst after the 1911 Revolution and what had been a steady stream of female heroes became a veritable flood. I think that it is hard to underestimate the effects of all of this on Chinese popular culture. These stories demanded that their audience imagine and contemplate the possibility of a female heroine. And increasingly the audiences for these novels, stories and operas were women themselves. It goes without saying that such tales contained more than a hint of wish-fulfillment fantasy. Period readers faced dire perils in the more abstract (but no less dangerous) form of economic transition and social upheaval. The promise of a guiding principal hidden within one’s own cultural heritage would be a welcome message to such an audience. This basic pattern is seen in a number of Wuxia stories. Interestingly it is also a prominent theme in some martial arts creation myths. The story of Ng Moy and Yim Wing Chun seems to be a typical product of the enthusiasm for female heroes that was unleashed in the 1920s and 1930s. Jingwu succeeded precisely because they mastered a delicate balance. On the one hand they were forced to strenuously argue that the martial arts needed to be reformed and rescued from the feudal superstitions of the previous era. The memory of the disastrous Boxer Uprising (circa 1900) still haunted public discussions of social modernization and reform. In fact, the backlash after this revolt did more to damage the Chinese martial arts than any other event besides the Cultural Revolution. Crisp white uniforms, modern military drill formations, literature and photography classes and “scientific training methods” were all highly visible public signals which the Jingwu Association used to distance themselves from this unsavory past. In magazine articles they argued that their vision of the martial arts was actually compatible with the modernization and reform movements. They then designed programs aimed at educated, middle class urban professionals to prove it. Yet at the same time Jingwu’s entire vision of the “Chinese nation” was built on their implicit faith in the underlying superiority (and unity) of Chinese culture. One had to be careful in the efforts to reform the martial arts. Outdated superstitions could be discarded, but not the essential truths of Chinese culture. Here we see the genius of a strong women’s movement. Jingwu’s full-throated embrace of the feminist movement, something that was not popular even in other parts of the progressive camp, demonstrated their absolute commitment to radical reform and modernization. While May 4th intellectuals continued to dislike the martial arts (which they viewed as backwards and superstitious) it became increasingly difficult to make these labels stick to a group that was so visibly in the vanguard of the social reform movement. Yet by training female martial artists and making them visible figures, the Jingwu Association tapped into some powerful quixotic currents in the popular culture of the Republican era. On the one hand female inclusion demonstrated the group’s modernist and scientific credentials, but it also promised to restore continuity with a lost, highly romanticized, cultural tradition that many educated middle class individuals yearned for. The Jingwu Women’s program may have helped to make the Association palatable to an otherwise suspicious public precisely because it appealed to both “reformist” and “cultural” arguments at the same time. Still, as any martial artist can tell you, theory is one thing. Implementation is something totally different. Without the tireless efforts of Chen Shichao it is more than likely that all of this would have remained at the level of pure abstraction. Nor were these reforms popular in all quarters. Kennedy and Guo have noted that Chen Shichao was not only driven, but that she possessed a remarkable resilience in the face of repeated, sometimes nasty, public criticism. Her efforts could not have ultimately succeeded if there was not an acceptable cultural logic behind them. But in an era when female participation in athletics was widely frowned upon, making an argument that martial training should become a standard part of the physical education curriculum in every girl’s high school was an uphill battle. It goes without saying that she faced a good deal of push-back from the less progressive quarters of Chinese society. Chen Gongzhe had been a critical player in the Jingwu Association almost from its inception. His sister really began to move into the public consciousness in 1917. In that year she formally started the Jingwu women’s program. Her first efforts revolved around opening a number of classes (including in local high schools) for female students. These followed the same basic curriculum of instruction that had become standard for all Jingwu students. In 1918 she further institutionalized this process by creating the “Jingwu Women’s Team.” In 1920 she became the director of the “Jingwu Women’s Sports Association.” This high degree of institutionalization turned out to be important for a number of reasons. The schools and teams created a pipeline to train young female martial artists and to move the more talented ones over into coaching roles. The other institutions provided venues in which leadership qualities could be cultivated and nurtured. This was essential to creating an authentic and self-sustaining women’s movement. The end result is that through her efforts the voices of many different female martial artists were heard, and a number of girls who were introduced to the martial arts in the 1920s went on to make it their life long calling. Chen traveled along with her brother on various missions to spread the Jingwu mantle. She visited Guangdong and was involved with the creation of women’s chapters in Guangzhou and Foshan. She even traveled to Malaysia, Indonesia and Vietnam as one of the “Five Ambassadors of Jingwu” in the summer of 1920. This mission turned out to be of critical importance. The Chinese diaspora populations of South East Asia were highly receptive to the central message of “national salvation” through physical culture as promoted by the Jingwu Association. Chen Gongzhe had grown tired of the constant political turmoil in China and wary of any definition of the nation based on state boundaries alone. He and the other leaders of the Association envisioned a “Greater Chinese Nation” that included the diaspora communities of South East Asia. As Andrew Morris has pointed out elsewhere, they saw these groups as a critical potential link between China and the global community. Whereas traditional western sporting programs separated these communities into competing teams based on political boundaries, the spread of Chinese physical culture throughout the region was thought to have a more unifying embrace. Further, many of these people were eager to have a new set of tools to reinforce their “Chinese identity” vis a vis their imperialized status in the various colonies of South East Asia. 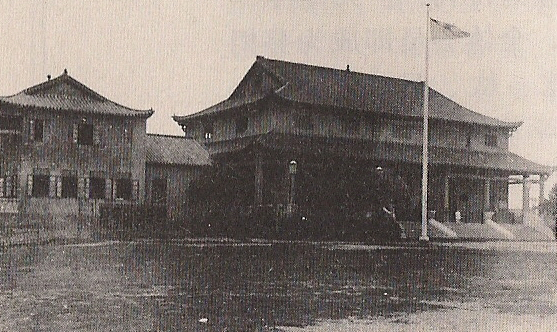 The Foshan Jingwu headquarters as it looked in the mid 1930s. Source: Foshan Wushu Shi. Most accounts of the Jingwu Association end with the financial catastrophe that crippled Chen Gongzhe and his business partners in 1924. They then resume with the KMT’s creation of the “Central Guoshu Institute” as the inevitable next phase along the pathway of development that leads inexorably to modern Wushu. An examination of the Chen siblings indicates that we might want to pause just a little longer to consider the long term impact of Jingwu. Its history can speak to issues as diverse as the changing role of sports in popular culture, to competing theories of how the Chinese nation should be constituted during the Republic period. Once opened by the efforts of Chen Shichao, the gates of martial accomplishment could never again be closed to female practitioners of the traditional Chinese martial arts. This must be counted as one of Jingwu’s most important and long lasting accomplishments. Likewise it seems unlike that the Chinese martial arts would have gained as strong a following in South East Asia without the support of Chen Gongzhe and the Five Ambassadors. Clearly some styles already had a presence in the region, but the massive publicity campaign sponsored by Jingwu energized the entire topic of conversation at a critical time. I suspect that understanding their view of the Chinese nation, and Jingwu’s special role as a method of disseminating culture and hence identity, is critical to understanding how the Association still functions in South East Asia today. For instance, when reporting on the state of the Chinese martial arts community in Singapore anthropologist D. S. Farrer spent time with both the local Jingwu Association and a more traditional Choy Li Fut school. Today this group is clearly classified as being a “traditional Chinese style” even though they practice in public, allow cross training and are still remembered for being quite radical by the standards of the 1920s and 1930s. Yet this local classification seems appropriate when we remember that the Chen siblings envisioned Jingwu as a vehicle to promote a specific vision of Chinese culture, and through that the nation. Clearly there are some elements of their plan that are still working. Female high school students in a Jingwu class of the sort organized by Chen Shichao. Source: Kennedy and Guo.